In the University of Jyväskylä it is possible to see a library without any books. The shelves in the main building’s library, also known as Aalto Library, are completely empty. Development Manager and Coordinator of Renovation Project of JYU Library Risto Heikkinen, why are there no books in the Aalto Library? 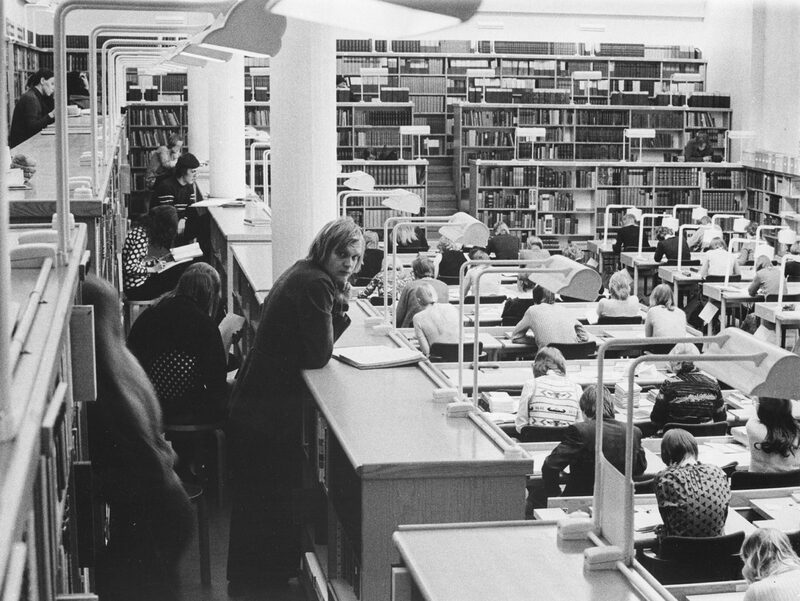 ”Aalto Library has a very beautiful atmosphere, but it does not meet the standards for a modern library. There are stairs and narrow spaces between shelves that, for instance, a wheelchair user cannot easily access. Aalto Library is going to serve as a ‘reading room’ in which people can come and conduct their business in a nice and peaceful environment. The main library will go under renovation in 2019. As the renovations will start, the books will be transferred to Mattilanniemi and Ylistönmäki campus libraries as well as to the Aalto Library. Aalto Library is too small a place for all of the collections, and to provide a decent library service.